provides the services that cover this domain of investment opportunities, statistics, studies, analysis, in addition to a lot of important data and information. The main tasks of the Maritime Transport Sector are the development of maritime transport facilities in order to cope with the world development in the field of maritime transport industry, the development of the necessary plans for regulating the world process in these facilities and achieving the optimal level of efficiency in order to serve the national economy. Provides all information regarding the Maritime Transport Field. 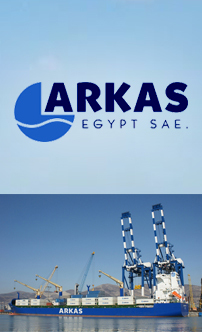 Includes information regarding both Alexandria and Dekheila Ports, information concerning Alex Portic Development Project. It’s the official website of the Egyptian Customs Authority, provides all information related to Customs Authority. The studies and reports that are conducted by the Information and Decision Support Center include some of the most important economic and social issues. The abstracts and contents of the reports are available on the site. The site also includes relevant government websites, as well as relevant time series data. International Maritime Organization Organization Dealing With Safety, And Many Other Issues, Mainly Hazardous Cargo. The Baltic & Int´L Maritime Council Organization For Ship Owners And Operators Which Offers Members Information Services For Shipping Industry. Global Market Place For Shipbrokers. An On-Line Exchange For Ships And Cargoes. The World’s Largest Independent Supplier Of Maritime Information Services. Brokers resources, Market Analysis, And Capacity Analysis. Sources of Information For Insurance, And Shipping Markets. Reporter Magazine of Daily News for Maritime Industry. Magazine addressing Ship Owners issues. A database retrieval system developed by the International Telecommunication Union. This system allows the Maritime Community to consult the current contents of the master ITU ship station database. International Association Of Independent Tanker Owners. Represents interests of owners, operators and managers of dry cargo shipping, it promote a safe, high quality and efficient industry. Represents an industry covering approximately 40.000 forwarding and logistics Firms. Assist search and rescue activities on a world wide basis by providing accurate, timely and reliable alert and location data to the international community on a non – discriminatory basis. Searching for world sea ports’ links by countries, shipping companies, shipbrokers and ships’ database. This site provides information regarding the International Chamber of Shipping (ICS), the International Shipping Federation (ISF), news about regulatory and other developments affecting the international shipping industry. Various publications produced by ICS and ISF can also be ordered on-line. Gives you market-leading, essential information on key areas of transportation, freight, shipping movements, maritime insurance and much more. Has now made this in-house filing system available to serve shipowner to keep track of all companies that service their fleet. Seaport list compiled by Luis Andrade, general manager of non-liner trades for G&A Maritime Services. The American Association of Port Authorities Seaports of the Americans page, lists a number of port-related businesses on the web. Lloyd’s List is the part of the worldwide business publishing group “INFORMA PUBLISHING GROUP”, Lloyd’s List has a long history and remains a leading on line international maritime newspaper pioneer; Lloyd’s List Online Information Source covers all the main maritime sectors, Logistic, energy, financial and trade/freight transport industry. World Leading Insurer of Cargo And Multimodal Transport. The Tokyo Memorandum of Understanding. The Black Sea Memorandum of Understanding.